The road to 4192 began with a triple off Bob Friend of the Pirates on April 13. With that initial hit, Pete Rose embarked on one the most fantastic and unlikely careers in baseball history. Signed by his uncle to a Reds contract, Rose spent a few seasons in the low minors where nothing much was expected of him. He wasn’t thought to be a great hitter nor fielder, but scouts had to admit, no one wanted to win as bad as the kid from Cincinnati’s Westside. 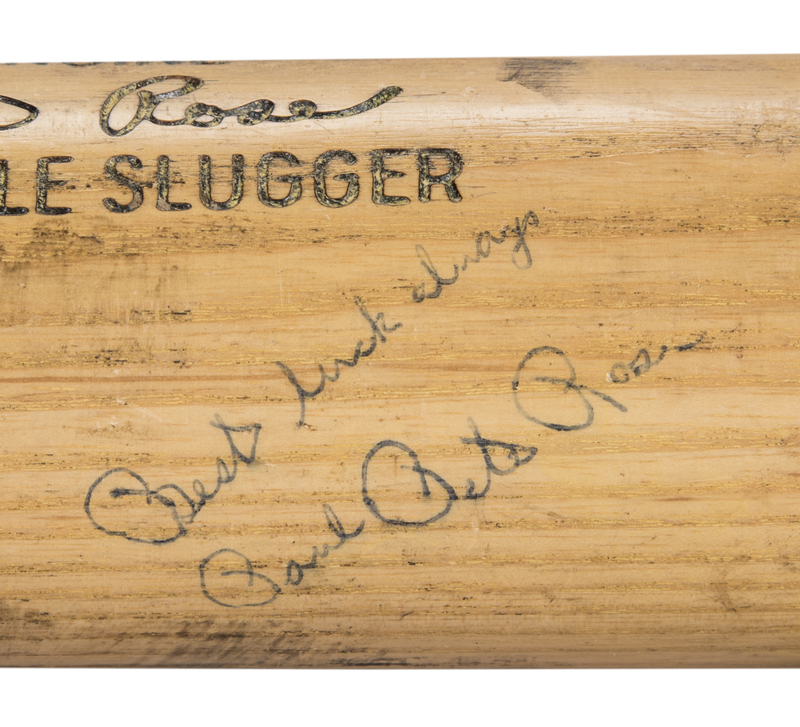 Rose went to spring training with the big club in 1963, where his futile pursuit of a Mickey Mantle home run ball earned him the derogatory nickname of “Charlie Hustle.” Rose wore the title like a badge of honor, and all it took was an injury to Don Blasingame to give him the foothold he needed to make the team. Rose followed up that first hit by hitting .273, finishing second on the Reds in both hits and batting average, and winning that year’s Rookie of the Year Award by sweeping up 17 of 20 votes. That rookie campaign set the tone for the rest of Rose’s spectacular career, culminating in his being crowned baseball’s Hit King after recording more hits than anyone else in the history of the game. 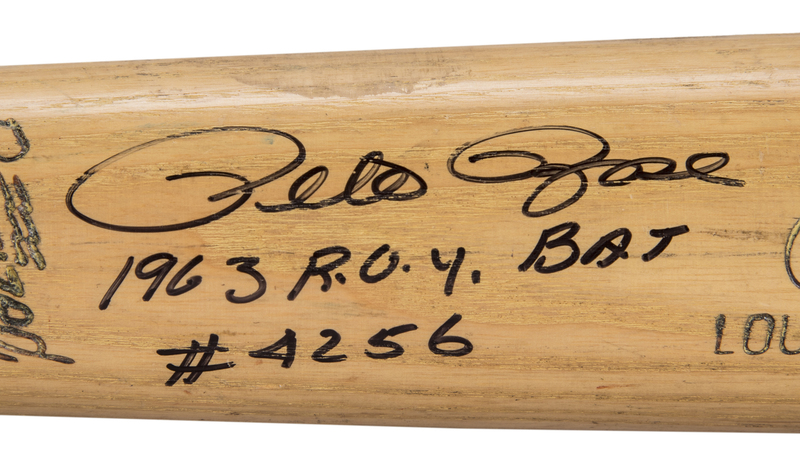 This bat is a direct link back to that first season when Pete Rose’s slate was clean and the future was limitless. The Hillerich & Bradsby U1 model bat is un-cracked and shows the outstanding use of a rookie trying his best to prove he belonged in the Majors. Numerous ball marks and stitch impressions can be seen on the barrel along with black ink transfers. Green and blue bat rack paint streak line the surface and a moderate coat of pine tar still remains on the handle. The model number “U1” has been stamped in the knob and Rose’s soon to be famous number “14” is hand written in black marker. 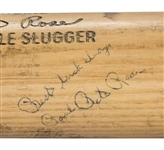 This rookie era bat comes complete with a period signature and inscription in ballpoint ink, “Best Wishes Always Paul Pete Rose.” The “Paul” in the inscription was Paul Hill, an old-time collector who amassed a large collection of game used bats, all personally acquired from the players and signed and personalized in ballpoint pen. 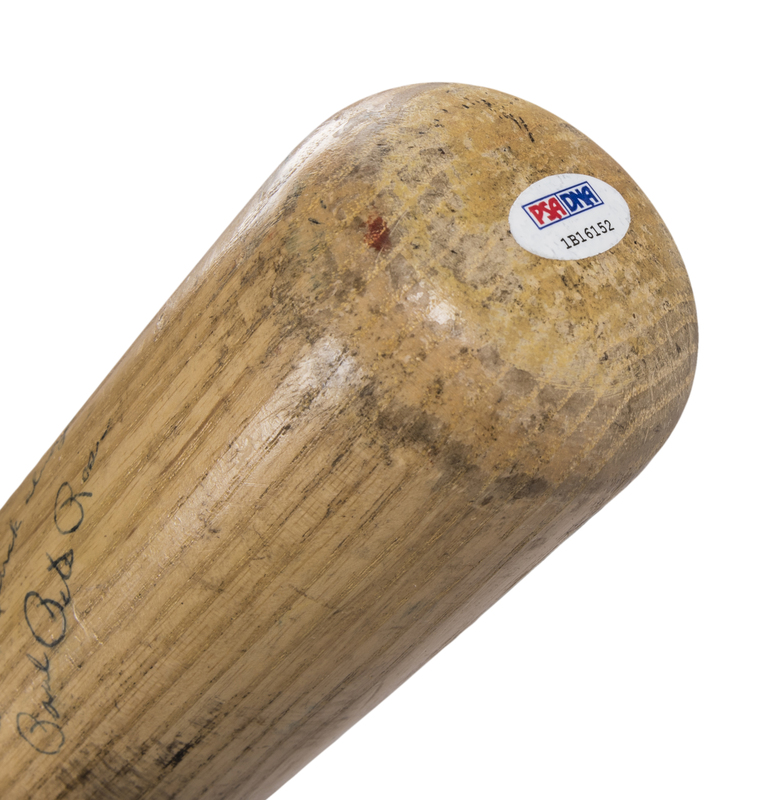 This bat was gifted to Paul when the Reds were in Connie Mack Stadium playing the Phillies. 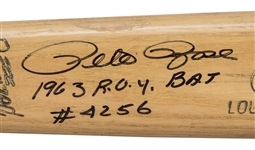 In addition to the vintage signature, the Hit King has signed the bat a second time, “1963 R.O.Y. Bat #4256” in black marker. This is a tremendous rookie year gamer from baseball’s Hit King. 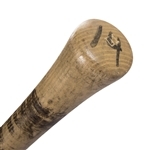 This bat comes with a LOA from PSA/DNA (1B16152) for the game use and has been graded a perfect GU 10. 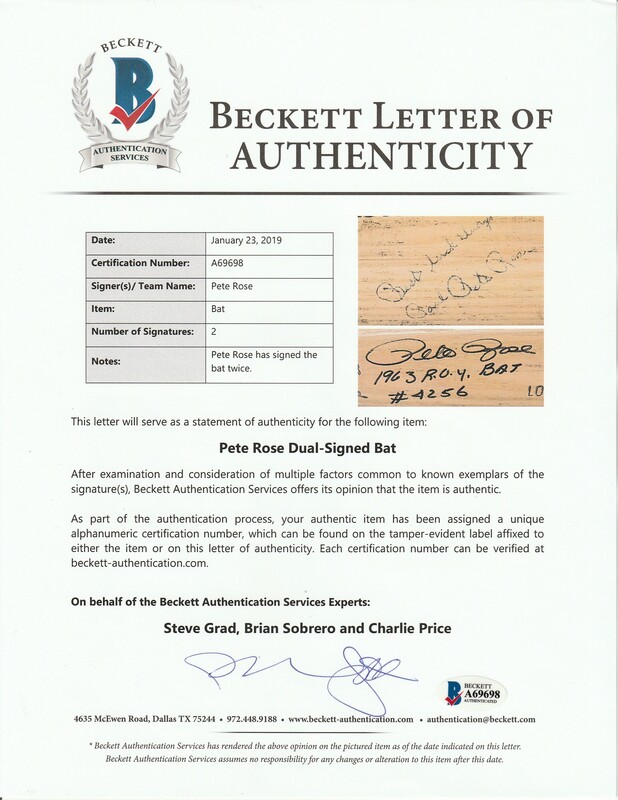 Additionally, there is a LOA from Steve Grad of Beckett Authentication for the signature.